London Sound Academy has been teaming up with big brands to help spread the love of DJ’ing through our Corporate DJ Lessons! You can now hire LSA tutors to come to your team building event or away day to teach your staff how to DJ and inspire them to get involved in electronic music. Recently we’ve worked with Selfridges, WeWork, Coca-Cola, Melissa Shoes, Stone Island, and many other big brands and companies. They found the lessons had far more engagement than other activities, really inspired their staff and customers and were heavily posted about on social media. If you're looking for brand exposure there is no better medium than our DJ Lesson events! If your office team building days have become a little predictable, why not shake things up and book some corporate DJ lessons with LSA for a quirky, practical and super fun experience. We have full insurances, DBS checks and everything a big company requires when booking, and most of all we have amazing reviews, five-stars across the board. Check out our review page on Facebook, Google or TrustPilot to see what our students have been saying. We've got the highest reputation of any DJ school in London and we pride ourselves on our customer service. If you need a reliable business partner who will be there when needed then come to us for a quote. We have packages for all budgets, from single tutor set-ups running short introductory lessons to multiple stations or even DJs for corporate events with sound systems. 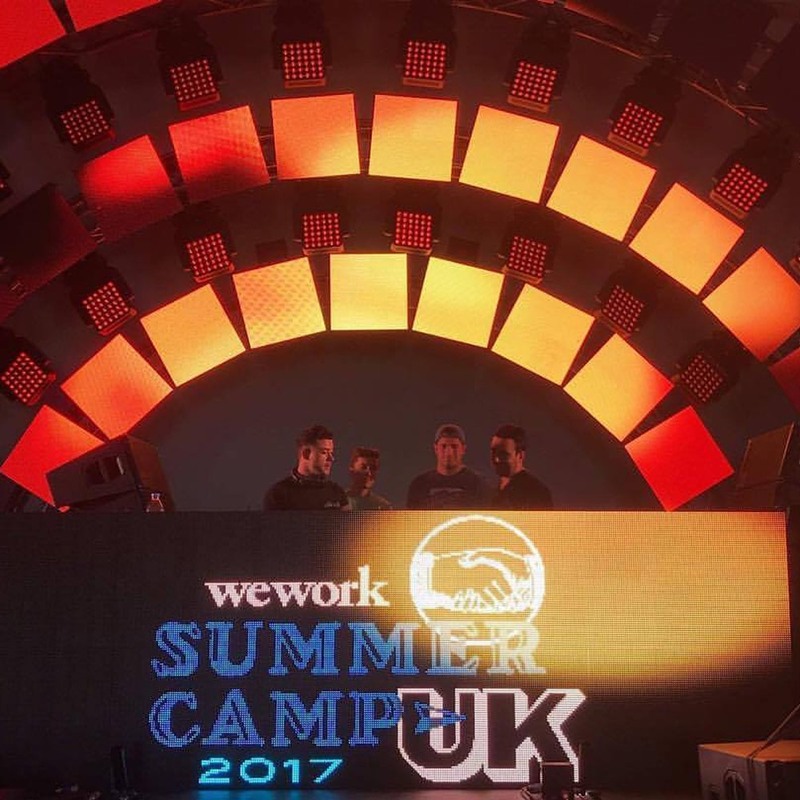 Recently with WeWork, we organised DJ lessons during their huge Summer Camp 2017 festival on the main stage in the dance arena, check out this awesome photo of LSA tutor Danny in action. If you are looking for the perfect staff bonding, team building or experience get in touch with our team by contacting us or calling 02035904429.